► Poor Punctuation? Walk The Plank! Poor Punctuation? Walk The Plank! 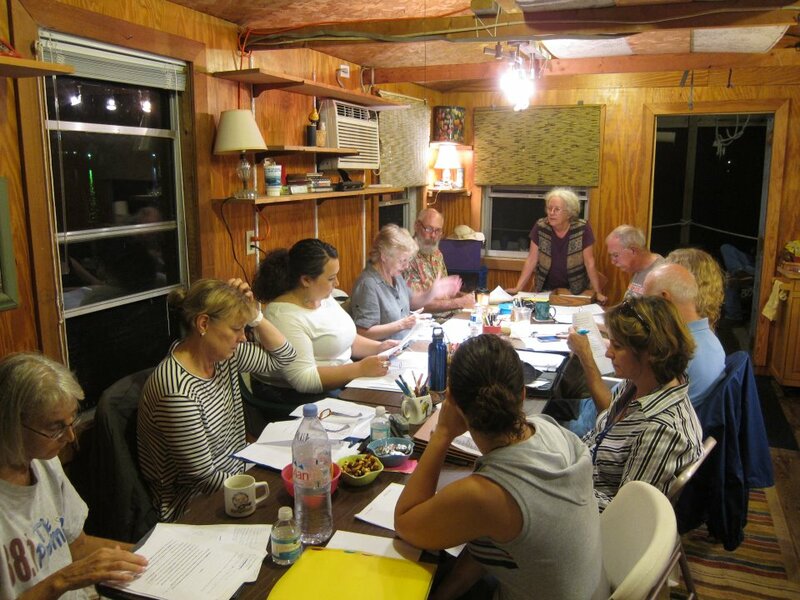 Last Wednesday I started a six week writers workshop, that will meet for three hours every Wednesday night until the end of October. There are ten writers in attendance. Like the last workshop, I am about 40 years younger than most attendees. We have a ship captain (with his dog in tow), a female former navy commander, a retired semi-professional athlete, and many other fascinating backgrounds that make my past 26 years look boring. The leader of the workshop is none other than the “book Nazi” I wrote about, whose session I attended at the UNF Writers Conference. She practically forced me to attend her personal workshop, and seeing how I’m equal parts scared and in awe of her, I agreed. 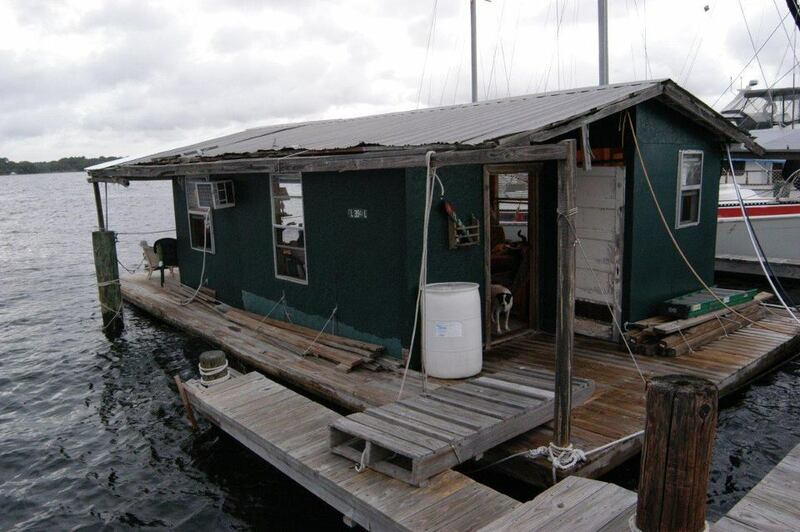 The workshop meets on her and her husbands shanty boat, on the Trout River in Jacksonville. Before she told me about her workshop, I had no idea what a shanty boat was. To me, “shanty” meant “crappy”, so I thought she was just being humble. After Googling, it turned out that “shantyboat” means “crude house boat” , so I wasn’t too far off from the Webster’s definition. My expectations were low. There wasn’t much time to look around (not that the boat is large enough to require a tour) before we got started. Much to my unhappy surprise, the writers in this workshop were not just seasoned in life, they were also seasoned in workshops. This being my third go round at having work critiqued, I wasn’t too worried. Foolishly confident that the (few and far between) criticisms would just roll off my back. Oh how naive. I got torn to shreds. After nearly three years writing, blogging, editing, and publishing work, it amazes me how much I can miss when I’m reading my own stuff. I had typos. Grammatical errors. Misuses of tense. I used the word “I” 25 times in one paragraph. I know this because the guy pointing it out actually counted (thanks dude.) It was like standing naked in a room full of supermodels, while they stared at every imperfection on my body and discussed them among each other. In a word, it sucked. However, I’m totally looking forward to going back. It’s kind of like how even though you’re exhausted and nauseated after a good workout, you still feel good. As sore and bruised as my ego is, I’m looking forward to another lashing. Not because I’m a masochist, but because I care about my writing, and want it to be as good as it as I can be. There is always room for improvement. Like with any skill, improving means work, and pain. Hopefully, when all is said and done five weeks from now, I won’t just have battle wounds to show for it, but a sharper, cleaner, more skillful writing technique. 2 Responses to Poor Punctuation? Walk The Plank! Typos and such are much more important than many people think they are, especially nowadays. During my one year of teaching, I was shocked at how many kids (mine were 7th graders) turned in writing with errors in 50% of the words, and then telling me that previous teachers conveyed to them that spelling and punctuation were not that big a deal. 1. said “at will meet for three hours ever Wednesday night” when you meant to say “every”, not “ever”. 2. said “former female army sergeant”, which makes me think she’s now male, formerly female.